Want all the Killer goodness in a go? No problem! Get all 5 issues of Crucifix Executioner Vol 2 for a discounted price and don’t miss-out on the action. 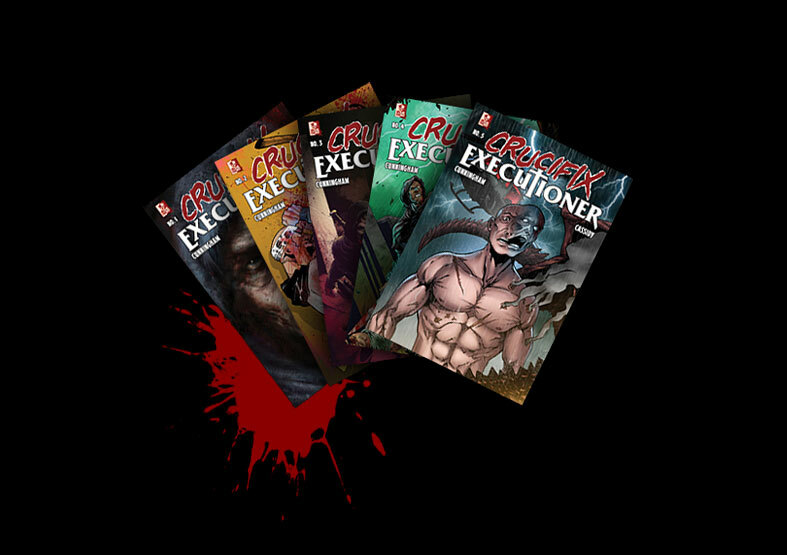 Each individual copy costs $1.99 each, but you can get the whole saga of the Crucifix Executioner for only $4.99 and save $4.96! Description: In this volume we see the return of the crucifix executioner as he begins to heal physically, mentally and spiritually but as he catches a breath, a dark gasoline smeared shadow falls over the city. Gibbons leads his army of bikers as they tear the city apart ,seeking revenge for their fallen comrades, torturing both friend and foe alike . Down but not out, Steel bites off more than he can chew,as his own personal war expands onto three fronts and invites the usual collateral damage. Meanwhile some friends from Glen’s past join his struggle for peace but can they really help him? Can they control his rage?.